Happy Memorial Day today! My kids were so excited this morning to hang our American flag outside. We live such a wonderful country and I'm so thankful for the freedoms we enjoy. Since we live far away from family, we're celebrating by spending the day together as a family, working on house projects and enjoying the beautiful weather. I'll hopefully get my menu planned and posted tomorrow. Have a wonderful day! P.S. 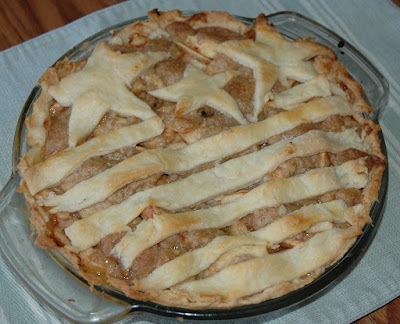 You should make some Stars and Stripes Apple Pie! Yum!